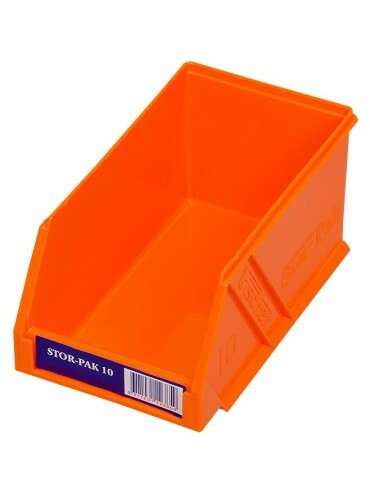 Available in four sizes to accommodate small bits as well as bulky items. The ultimate in practical storage systems. Available in six colours (blue, green, yellow, red, clear, orange or a mix of either). Colour coding enables more efficient warehousing and stock handling. Produced in tough and durable polypropylene. The Stor-Pak bin range units are stackable, they also have a special Louvre panel grip at the back of each Stor-Pak bin to ensure the bin sits strongly and securely onto the panel.